Serviced your projectors? Updated your PCs? Need additional laptops? Office 365 and email accounts up to date? 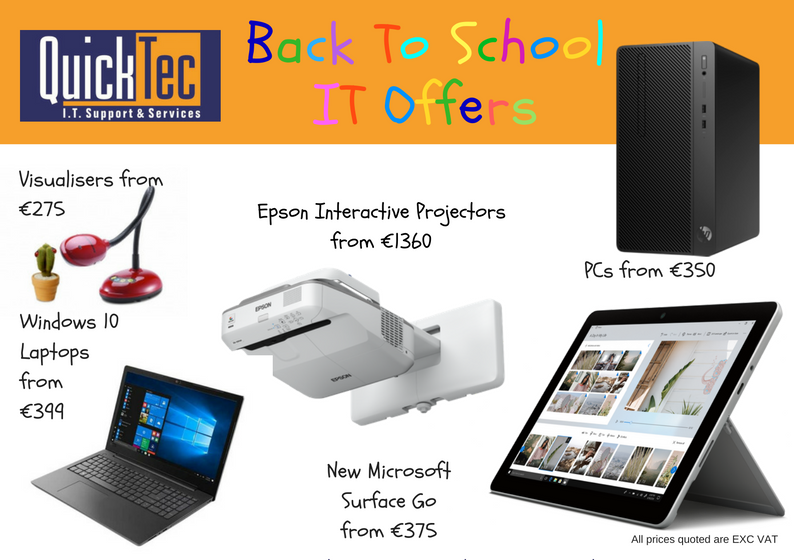 Get Back To School ready with QuickTec IT! We'll take care of all of your IT maintenance and repair needs. New Microsoft Surface Go is perfect for all your daily tasks, giving you laptop performance, tablet portability, and a stunning touchscreen with the power of Windows 10. Prices start from €375.